How do you ladies feel about Urban Decay Cosmetics? I absolutely LOVE this brand! 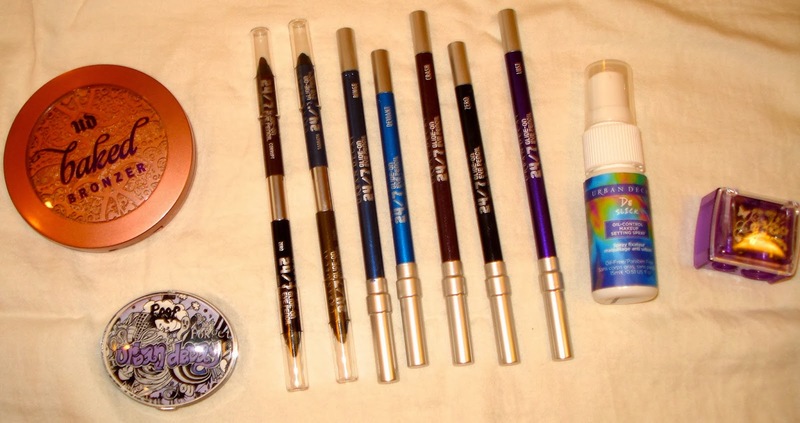 Their makeup is so long-lasting and they have the most fun colors of shadows and liners that I have ever seen. My first experience with UD was several years ago. I bought an eye shadow palette and I STILL have most of those shadows. Not because I don't use them, but because you only need such a small amount because they are so pigmented! My current fave product from them is their 24/7 waterproof pencil liners. I ALWAYS have to wear waterproof liners and even then, nothing will stay when I line my waterline. These liners are the first I've tried (and trust me, I've tried TONS) that don't smudge from my waterline. They go on smooth, like silk and are super blend-able for a nice soft line. Recently, Urban Decay had a sale and I went a little overboard with the liners. I now have 7..eeeks (and two of them are double-sided)! I also purchased the Baked Bronzer and an eye shadow in Flirt. They sent me a free travel size of De-Slick Oil-Control Setting Spray. I LOVE the bronzer! I feel like it would compliment most skin tones and it lasts all day. I usually apply a light dusting all over and a little more on my cheeks. I like this look for day since I don't like to wear blush to work (I feel like it's a bit much under fluorescent lights). FYI - I don't think that this color is dark enough to contour with (for me anyways). 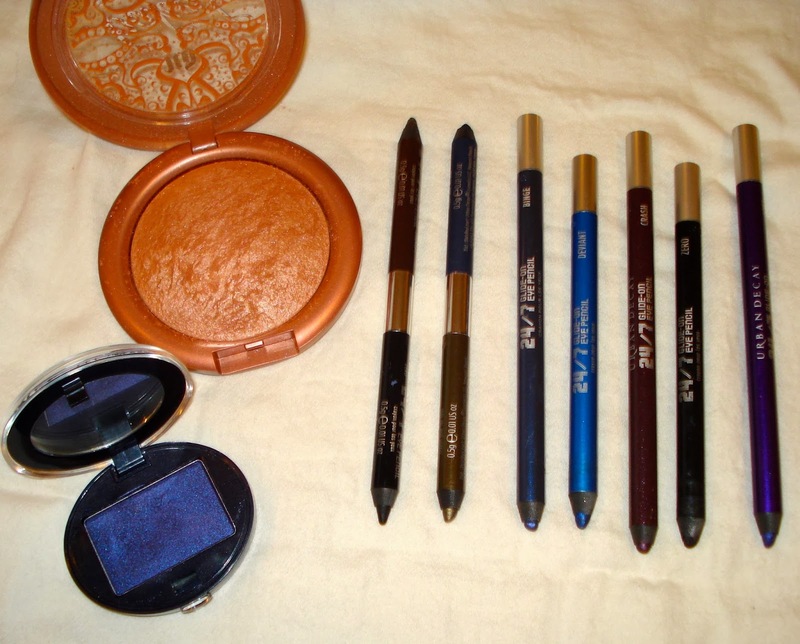 The eye shadow is a rich indigo color and it's gorgeous! I use it when I want to do a smokey eye. To be honest, I love the bronzer so much that I may go ahead and order a few more just in case they stop making it. Also, they now have a 24/7 liquid eye liner that I'd love to try soon! Again, I apologize for the quality of these photos. I'm still trying to pick out a new camera that takes good close ups. Anyone have any recommendations? ?